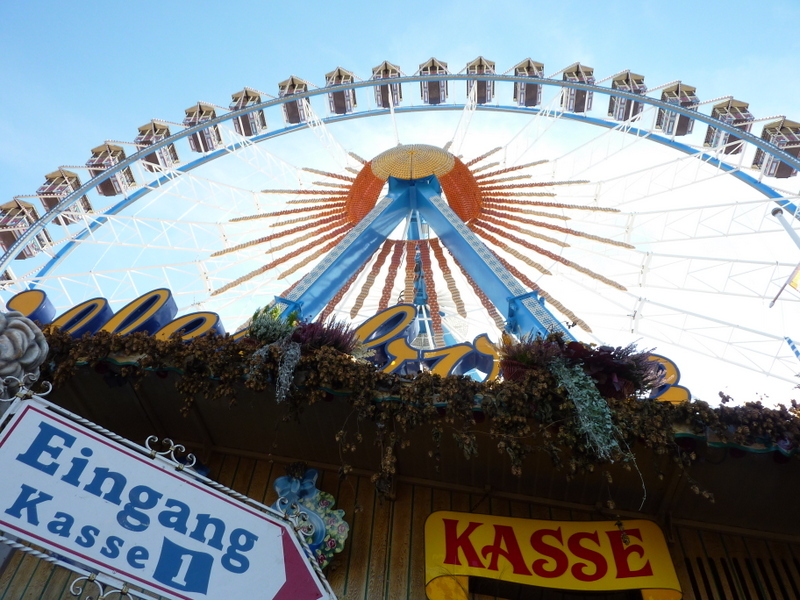 Oktoberfest is the world’s largest fair held annually in Munich, Bavaria, Germany since 1810. 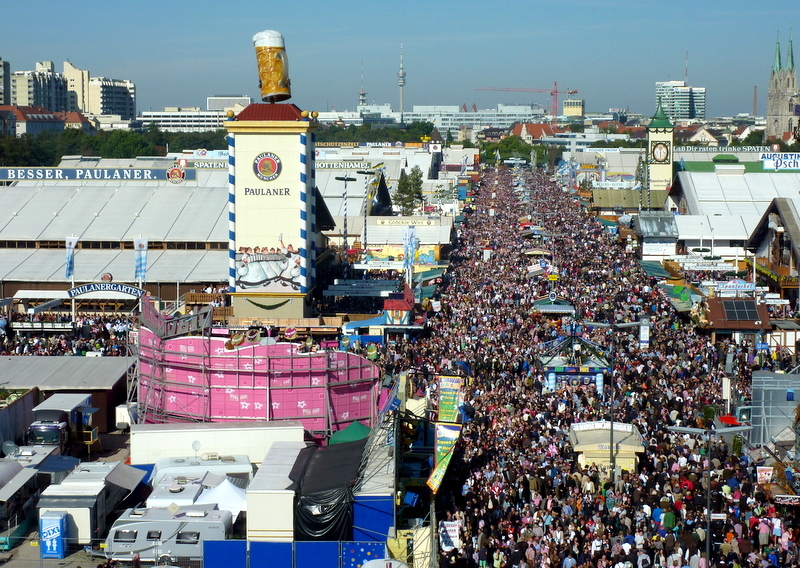 It runs 16 days from late September and ends on the first weekend of October during which millions of people visit, and millions of liters of beer is consumed. 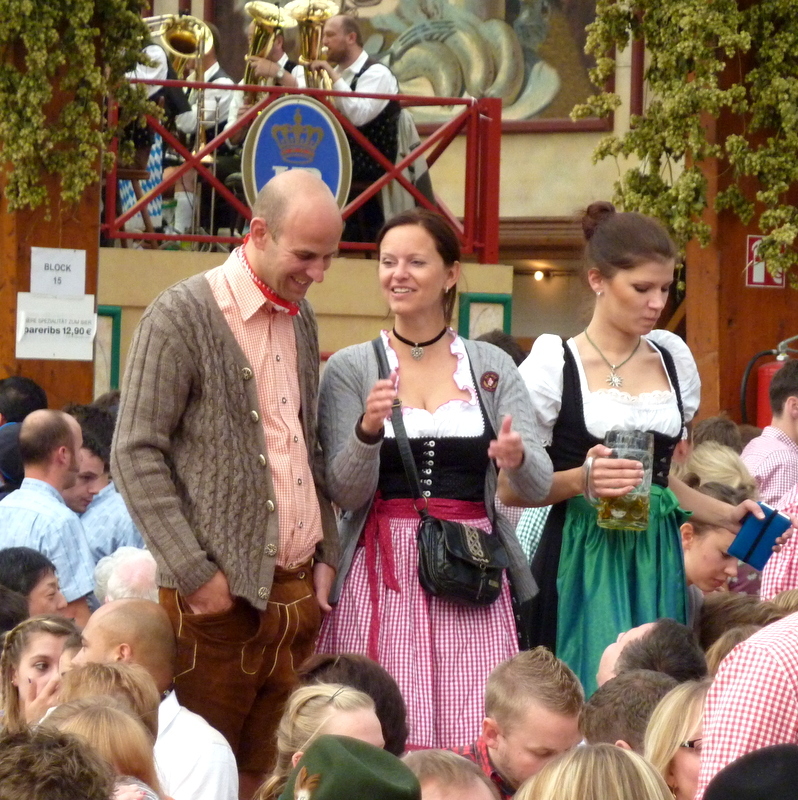 Growing up in the States I know that Oktoberfest is usually identified with beer drinking and really not much else. Even the Griswolds stopped by Oktoberfest during their European Vacation which of course ended in a huge brawl. But that’s not the entire story. I would like to say that this is a huge family affair but I can’t quite take the beer out of the equation entirely. So let’s start with the family part. 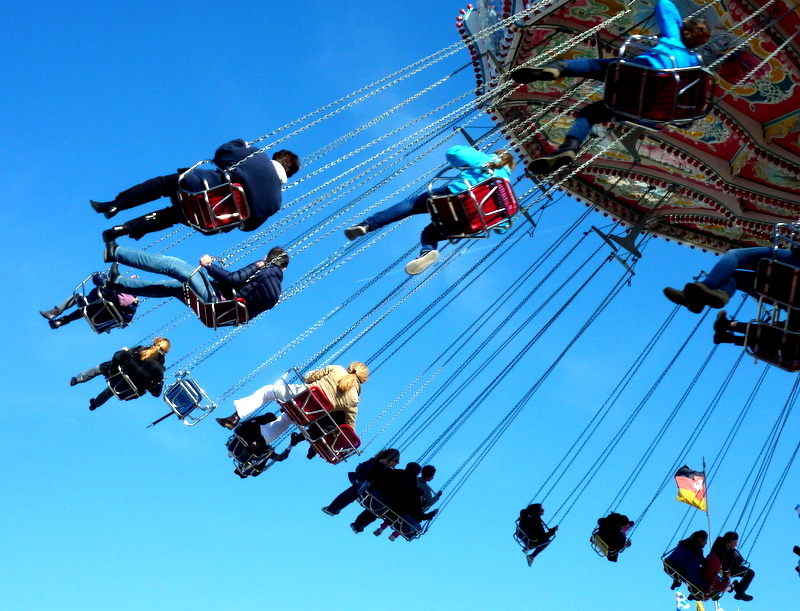 Carnival rides, games, concession stands, and the sweet smell of caramel covered almonds are abundant throughout the fair. As far as the eye can see there are families with kids, all dressed the part of course, having a great time. 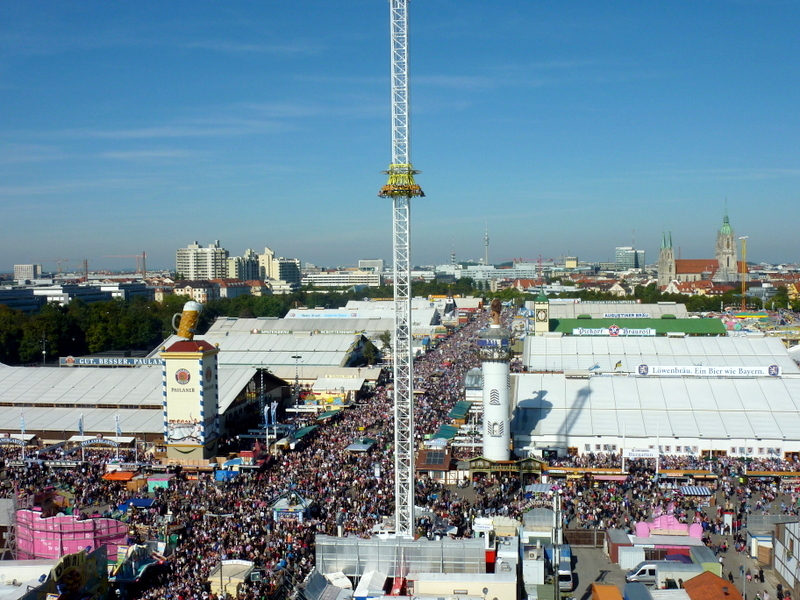 We rode the ferris wheel to get a better idea of the size of this event and the view was just astonishing. A blanket of people. 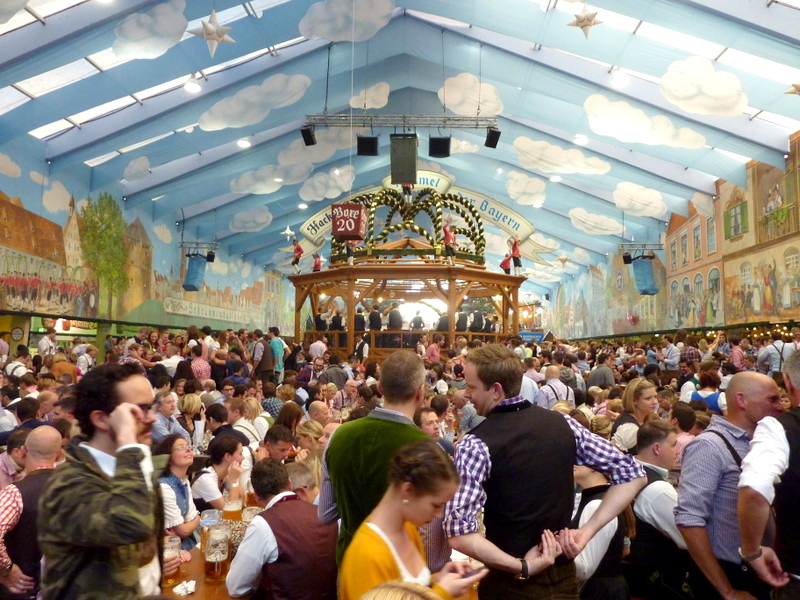 All this takes place among 14 large tents, each belonging to a local brewery because only beer brewed within the Munich city limits can be served here. These are huge yet temporary structures and are set up only for the sole purpose of serving Oktoberfest beer. 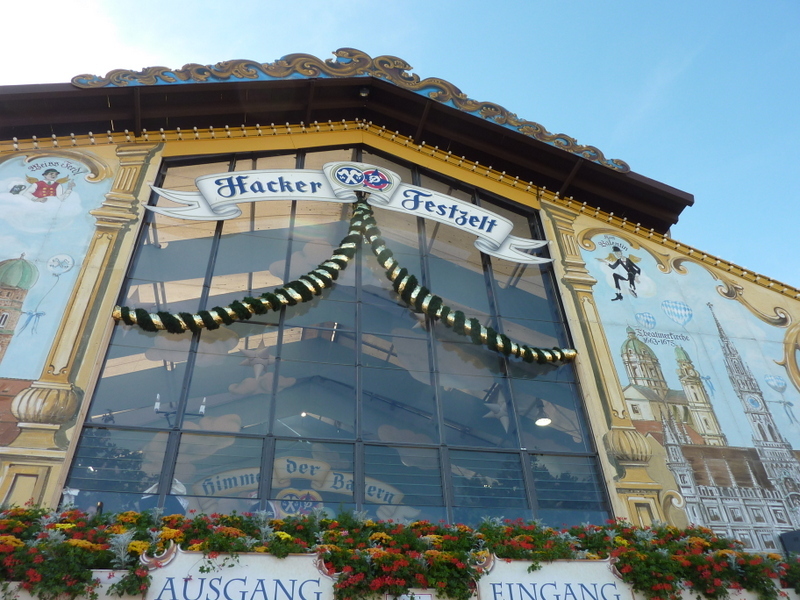 I had a seat at the Hacker-Festzelt tent, known also as the “Himmel der Bayern” tent (Heaven of the Bavarians). 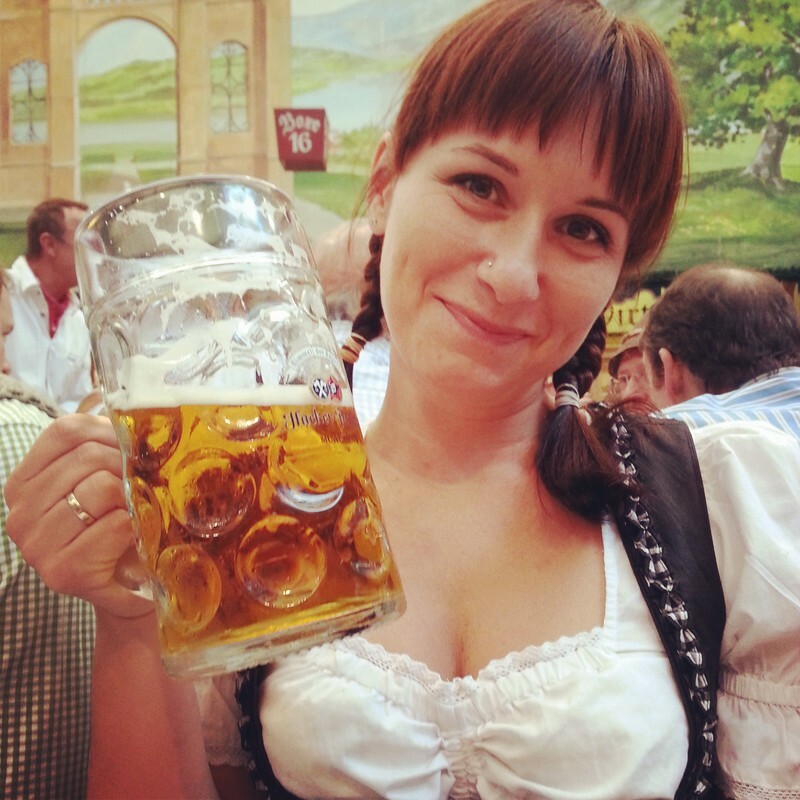 Beer is served only in one liter steins, and is simply delicious. There are ten people to a wooden table, but no one really sits down inside. You eat while sitting, and then get up and dance on your bench. And so does everyone else! Some 7,000 people in all, dancing on wooden benches. The rock band at the center of the tent played everything from elementary school German songs to AC/DC and somehow everyone knew the lyrics to Thunderstruck. It’s worth mentioning that our tent is the only one with a non-traditional brass band. It was a lot of fun and I highly recommend this once in a lifetime experience. You truly have to be there to get the feel of how big and fun Oktoberfest is, my pocket camera photos won’t ever do it justice. 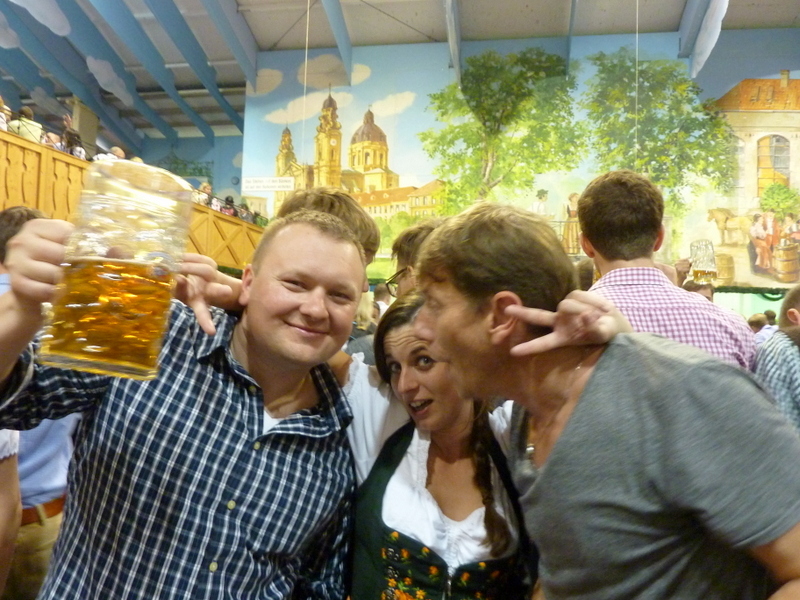 As a Bavarian, I have never been to the Oktoberfest and my only advice has always been: “don’t go!”. But I am happy to see that you enjoyed it!